Professional Wooden Stand high table Cafe Bar with Cast iron base from 105 € (60Χ60Χ110), for Bistro, Pub, Cafeteria, Cafe Bar, Restaurant, Gastro, Tavern. 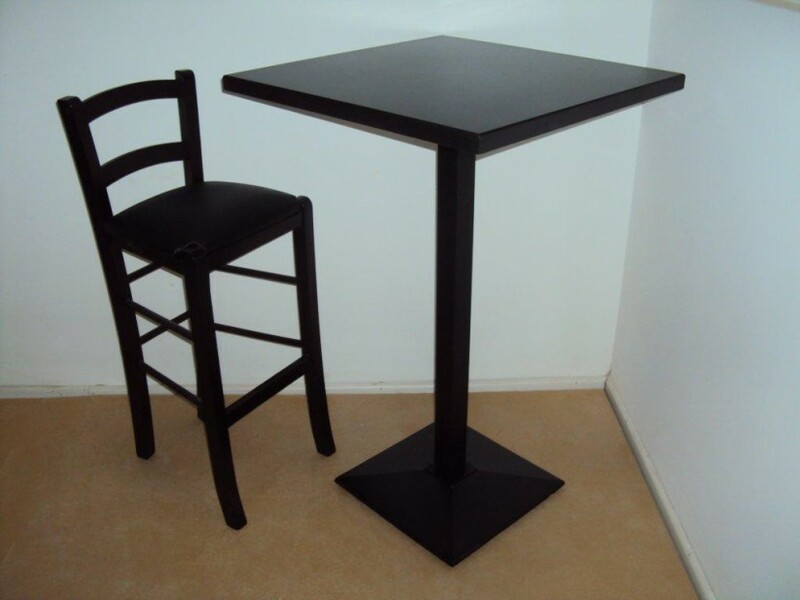 Wooden Stand Cafe Bar with Cast iron base from 105 € (60Χ60Χ110), for Cafeteria Cafe Bar Cafe Restaurant Tavern. The Wooden Stand Cafe Bar of Cast iron base is available in all sizes and in many colors The Wooden Stand Cafe Bar of Cast Iron Base is manufactured by us of extreme resistance suitable for Equipment Branch Food such as Restaurants, Cafes, Cafeterias, Taverns, Cafe Bar, Oyzeri, Delicatessen, Bistro, Pub, Coffee shop, & more. The Wooden Stand Cafe Bar of Cast iron base is available in all dimensions, available in paints Glaze Aging & Lacquers in various colors, paints are made with electrostatic painting using Italian Varnishes.